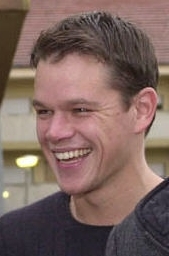 Damon voiced the role of Spirit in the animated film Spirit: Stallion of the Cimarron (2002) and later played a conjoined twin in Stuck on You (2003), which received a mixed critical reception. 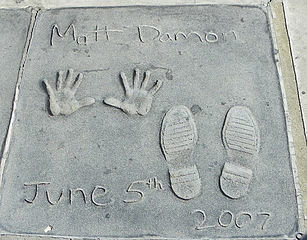 His major releases in 2004 included starring roles in the sequels The Bourne Supremacy and Ocean's Twelve. Both films earned more than $280 million at the box-office. In a review for The Bournce Supremacy, BBC's Nev Pierce called the film "a brisk, engrossing and intelligent thriller", adding, "Damon is one hell of an action hero. He does a lot with very little, imbuing his limited dialogue with both rage and sorrow, looking harder and more haunted as the picture progresses". 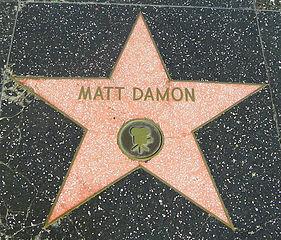 For the film, he earned an Empire Award for Best Actor; the award's presenter Empire attributed Damon's win to his "astute, underplayed performance, through which he totally eschews movie star vanity". He played a fictionalized version of Wilhelm Grimm alongside Heath Ledger in Terry Gilliam's fantasy adventure The Brothers Grimm (2005), which was a critically panned commercial failure; The Washington Post concluded, "Damon, constantly flashing his newscaster's teeth and flaunting a fake, 'Masterpiece Theatre' dialect, comes across like someone who got lost on the way to an audition for a high school production of The Pirates of Penzance." ^ "Monitor". Entertainment Weekly (1228/1229). Time Inc. Oct 12–19, 2012. p. 23. ^ David, Mark (December 31, 2018). 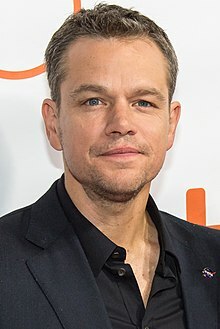 "Brooklyn Heights Penthouse Purchase by Matt Damon Sets Borough Record". Variety. Retrieved 12 February 2019.